I love these earrings! The copper oval is hand formed to be slightly concave and then enameled in one of my favorite combinations, green and purple. 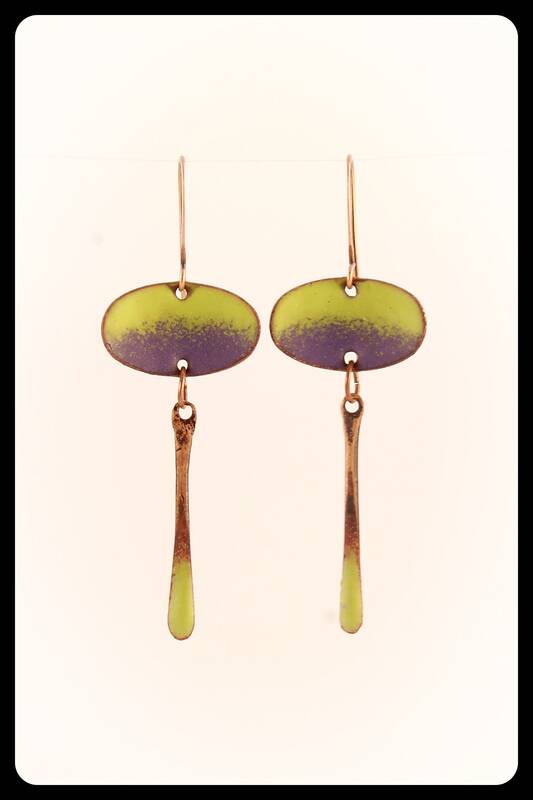 The hammered dangle is also enameled and then both pieces are acid etched to give them a velvety smooth matte finish. The overall length is about 2.25”. Light weight and easy to wear.